Today, I bring you a super easy recipe that is just perfect for gift-giving this Christmas. 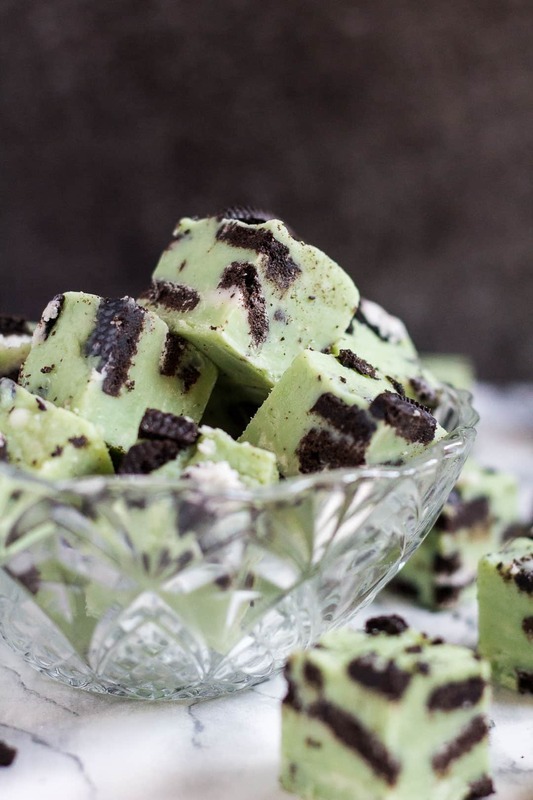 Oh, and it’s one of the best flavour combinations ever – mint and chocolate. 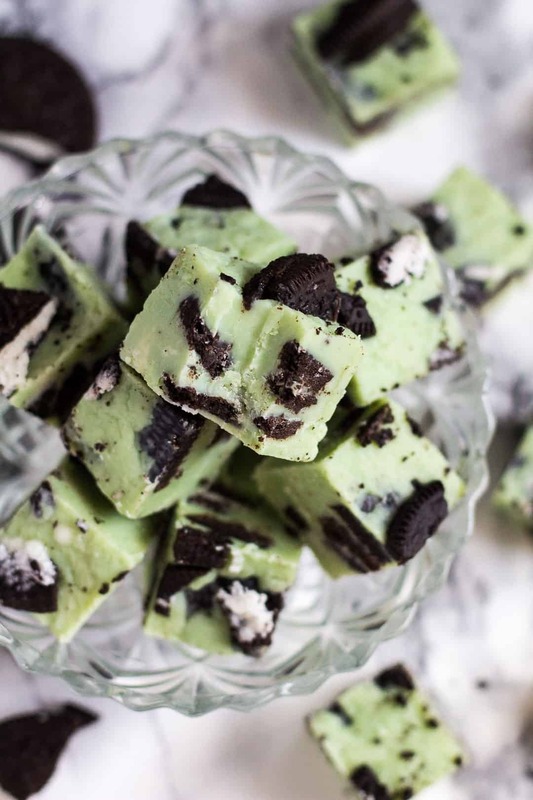 You are gonna LOVE this Mint Chocolate Oreo Fudge. 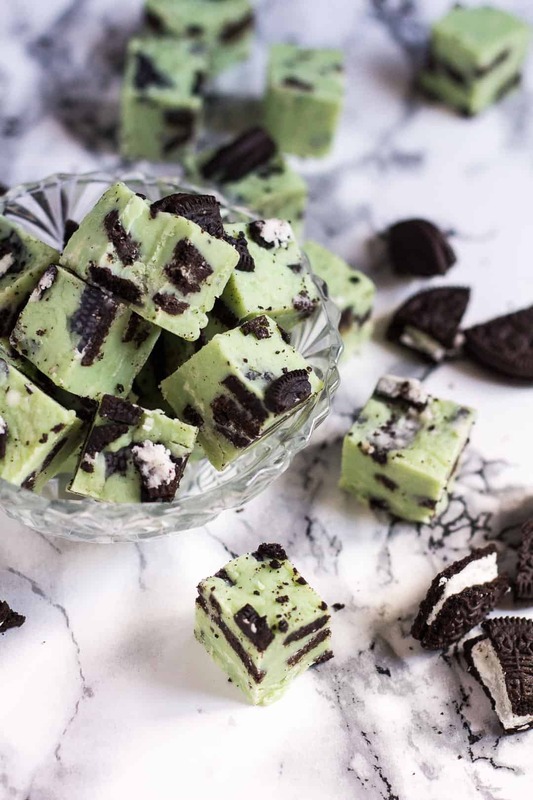 This fudge recipe is incredibly delicious, super quick and easy to throw together, and only requires 5 simple ingredients to make! You’ll need 5 simple ingredients for today’s recipe, and you probably have most of them right now! 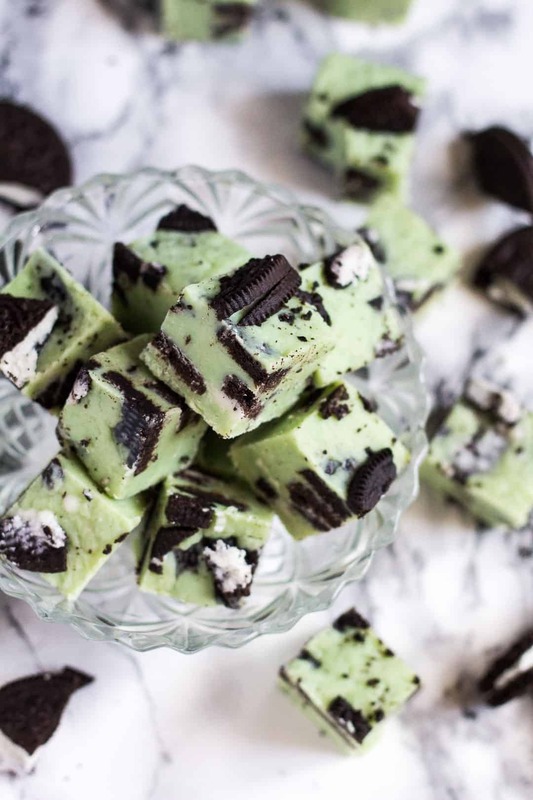 To make this fudge, simply add the white chocolate to a large microwave-safe bowl, and heat in 20 second intervals until melted and smooth. 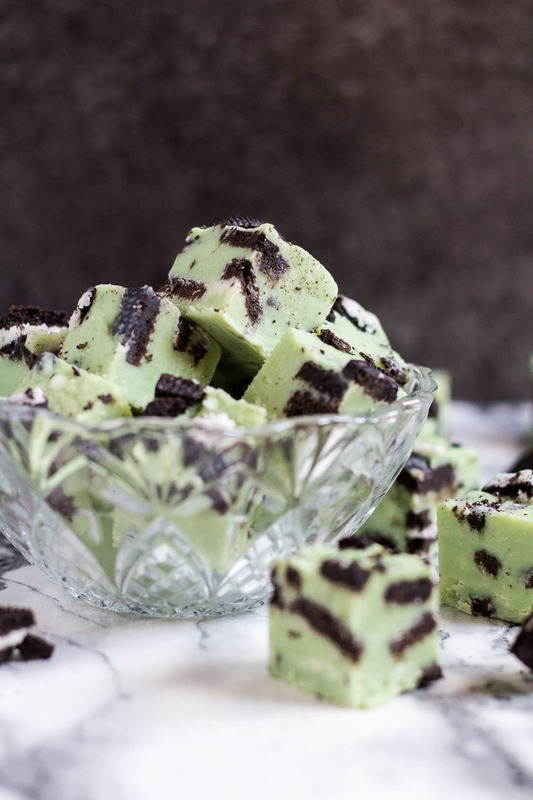 Stir in the peppermint extract and food colouring, then stir in the condensed milk and chopped Oreos. Spread out into a pan lined with foil or parchment paper. Refrigerate until completely set. I like to leave mine in the fridge overnight, then use a hot knife to create neat, clean slices. 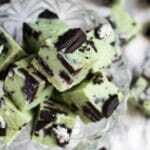 This fudge can be stored in an airtight container at room temperature for up to a week, or in the fridge for 2 – 3 weeks. You can also freeze it for up to 2 months, thawing overnight in the fridge before serving. Perfect for making ahead of time! 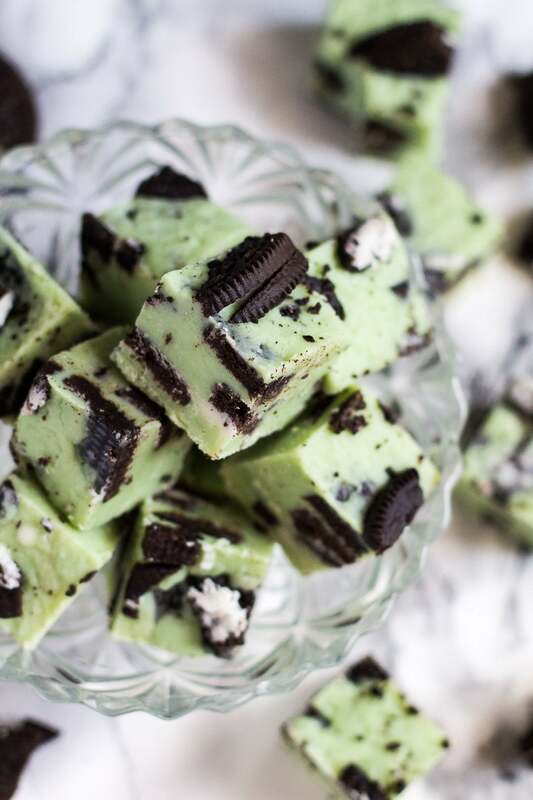 Make these mint chocolate recipes next! Place the chocolate into a large microwave-safe bowl, and heat in 20 second intervals, stirring after each one, until melted and smooth. 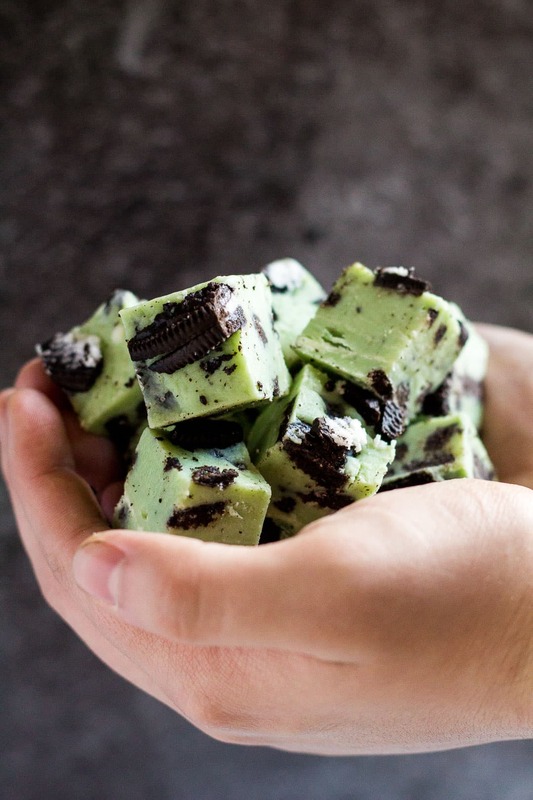 Stir in the peppermint extract and food colouring. Stir in the condensed milk and chopped Oreos. The mixture will become thick. Spread the mixture into the prepared pan, and smooth out the top. 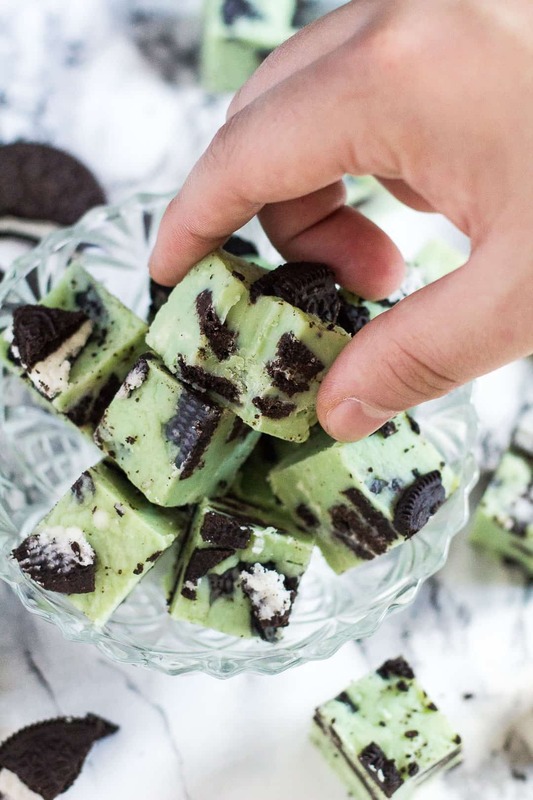 Sprinkle with extra chopped Oreos, if desired. Refrigerate for 2 - 4 hours or overnight until completely set. Yum! This looks so good! I pinned. My kids would go crazy for this!